You guys, I think I have found the most perfect winter/holiday/Christmas/anytime cookie. 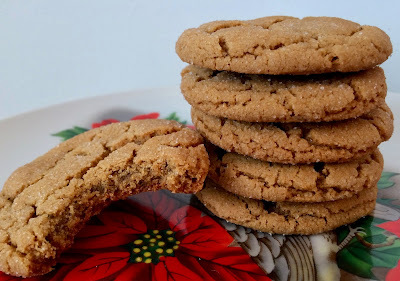 These cookies are truly perfect - simple, chewy, lightly spiced, slightly crisp edges, and all-around yummy! They are very slightly adapted from a Martha Stewart recipe, so I can't take credit for them, though I wish I could. These are going to be a recipe that I am making for years to come and I bet they will be heavily requested by others. Every time I eat one, I like them even more. Slowly but surely I'm getting my baking and wrapping and other holiday stuff finished up. We skipped a tree this year.... it really just wasn't worth it with two toddlers running around who are into *everything*! We do miss it though. We put some lights up in the window and hung our stockings, wreath, Santa head, and have been listening to Christmas music and reading Christmas stories to the kiddos. So we are still being relatively festive - and having tins of cookies around helps! This recipe will make about 30 cookies. The flavor improves after a day or two as the spices become even more prominent. They will make your house smell like the holidays while they are baking. These are a terrific cookie to enjoy with a steamy cup of tea or coffee. Add these to your cookie tray this year - you won't be disappointed! Whisk together the flour through ginger in a medium bowl and set aside. Place 1/3 cup of sugar in a small shallow bowl and set aside. Cream together the butter and remaining 1 cup of sugar in a stand mixer with paddle attachment or with a hand mixer. Beat in the egg and then the molasses. Turn the speed to low and slowly add the dry ingredients until combined. Roll the dough 1 tablespoon at a time into balls. Roll in the bowl of sugar and place on the baking sheet about 3-inches apart. Bake one sheet at a time* for about 11-13 minutes, until the edges are just set and the bottoms are just turning golden. Let cool on the sheet for 1 minute and then remove to a wire rack to cool. Repeat until all dough is used. *Baking one sheet at a time ensures that the cookies crack evenly from the dry heat of the oven. wow these molasses cookies cracked so beautifully! Perfect! We're cookie twins! 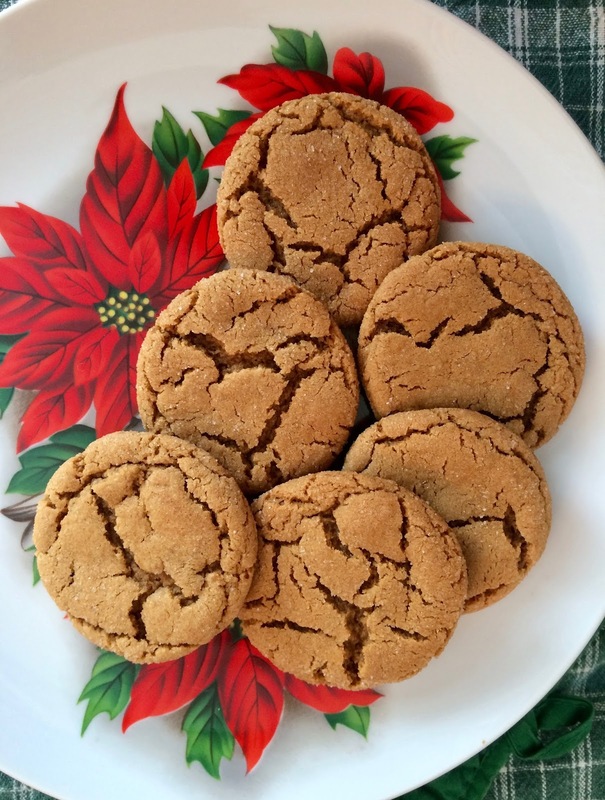 Molasses cookies are just the best aren't they? Yours look PERFECT! 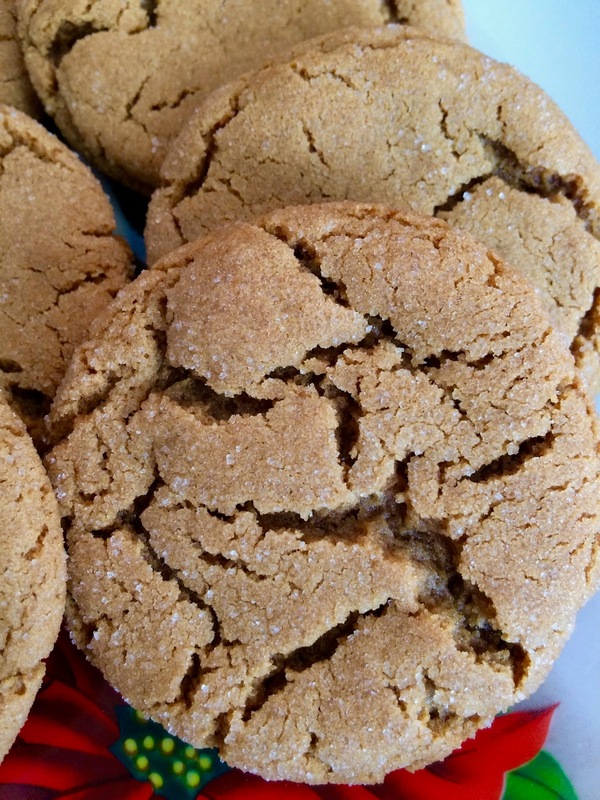 Molasses cookies are the best and these look great! My husband likes his cookies cakey but I love mine chewy, just like these. Happy Holidays! Everything about these cookies is so good. 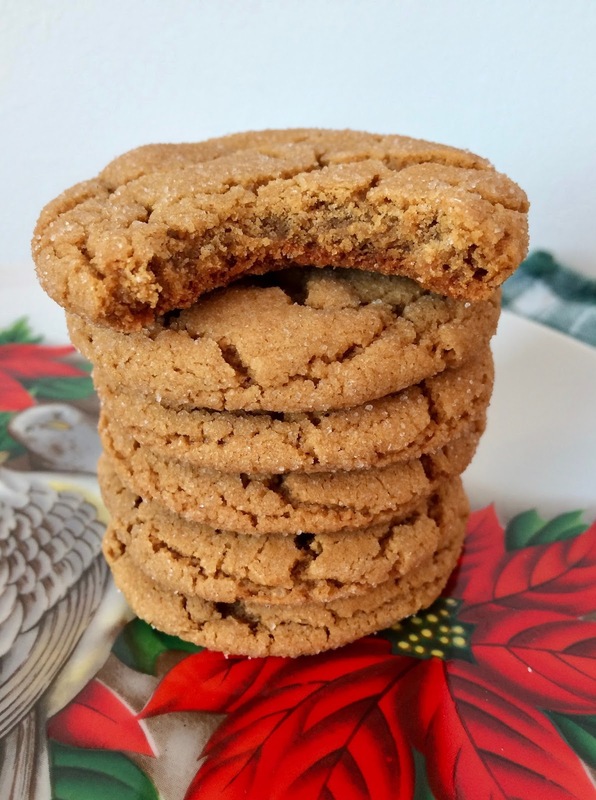 Sounds good, love molasses cookies! Thsnks!